The large air tankers on exclusive use contracts have been cut this year from 20 to 13. In 2002 there were 44. This is a 73 percent reduction in the last 16 years. No scooping air tankers are on exclusive use contracts this year. The large Type 1 helicopters were cut last year from 34 to 28 and that reduction remains in effect this year. 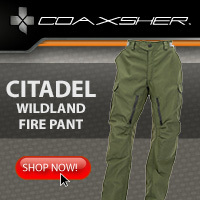 Some say we need to reduce the cost of fighting wildfires. At first glance the above cuts may seem to accomplish that. 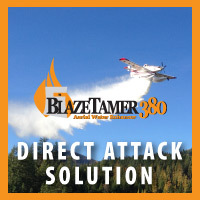 But failing to engage in a quick, aggressive initial attack on small fires by using overwhelming force from both the air and the ground, can allow a 10-acre fire to become a megafire, ultimately costing many millions of dollars. CAL FIRE gets this. The federal government does not. Meanwhile the United States spends trillions of dollars on adventures on the other side of the world while the defense of our homeland against the increasing number of acres burned in wildfires is being virtually ignored by the Administration and Congress. A former military pilot told me this week that just one sortie by a military plane on the other side of the world can cost millions of dollars when the cost of the weapons used is included. The military industrial complex has hundreds of dedicated, aggressive, well-funded lobbyists giving millions to our elected officials. Any pressure on politicians to better defend our country from wildfires on our own soil is very small by comparison. I am tired of people wringing their hands about the cost of wildfires. You can’t fight fire on the cheap — firefighting and warfighting are both expensive. What we’re spending in the United States on the defense of our homeland is a very small fraction of what it costs to blow up stuff in countries that many Americans can’t find on a map. Government officials and politicians who complain about the cost need to stop talking and fix the problem. The primary issue that leads to the whining is that in busy years we rob Peter to pay Paul — taking money from unrelated accounts to pay for emergency fire suppression. 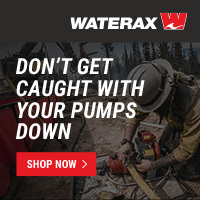 This can create chaos in those other functions such as fire prevention and reducing fuels that make fires difficult to control. Congress needs to create the “fire funding fix” that has been talked about for many years — a completely separate account for fires. Appropriately and adequately funding fire suppression and rebuilding the aerial firefighting fleet should be high priorities for the Administration and Congress. Maybe we need some teenagers to take on this issue! Above: The President’s proposal for funding wildland fire in the U.S. Forest Service in Fiscal Year 2018. 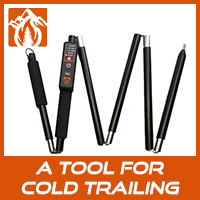 Source: USFS. While the federal government keeps throwing additional billions of dollars at the Department of Defense to fund our adventures in countries on the other side of the world, the budget for the war against wildfire in our homeland would be cut in some areas while most functions would remain flat if the President’s proposed budget for Fiscal Year 2018 is approved by Congress. In May the President proposed budgets for the Forest Service and the four primary land management agencies in the Department of the Interior: Fish and Wildlife Service, Bureau of Land Management, National Park Service, and the Bureau of Indian Affairs. However, Congress, as usual, has not finalized appropriations bills for these agencies for Fiscal Year 2018 which started October 1, 2017. The House passed a version in September, but the Senate has yet to take meaningful action. The agencies have been operating on a continuing resolution (CR) which expires December 8. It is likely that some kind of showdown will happen around that date, with the worst case scenario being a government shutdown. Or, they could keep passing successive CRs for the rest of the fiscal year, which would lock the funding into the FY 2017 numbers. Of course, CRs were in effect for all of FY 2017. Apparently our elected Senators and Representatives think they have better things to do than fund the government. If Congress actually does pass a funding bill for these land management agencies, the line by line details and numbers will most likely be different from the President’s proposals, but below we spell out what the administration would like to see happen this fiscal year that started October 1. In the FS as a whole, the President would like to reduce the number of employees (jobs), cutting the number of staff-years by 5.7 percent. Wildland fire personnel in the FS would remain the same — a total of 10,000, including 67 Interagency Hotshot Crews, 7,940 other firefighters, 320 Smokejumpers, and 400 Fire Prevention Technicians. Fire Suppression would be funded at the 10-year average. The exact numbers and trends are difficult to track because the Base 8 (the first 8 hours of a firefighter’s regular work day) will now be paid out of Preparedness rather than Suppression. 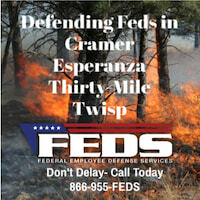 And funds for Hazardous Fuels are shifting from fire funding to National Forest System accounts. In 2017 the FS reduced the number of the largest helicopters, Type 1, from 34 to 28. The President aims to retain that smaller number. Type 2 and 3 helicopters would remain the same at 33 and 46, respectively. The two water-scooping air tankers in the FS would be eliminated completely, while they add one Single Engine Air Tanker, up from zero in 2017. The FS looked at the two years they had the scoopers as an experiment, even though they have been used successfully in Canada, France, Greece, and Spain for decades. 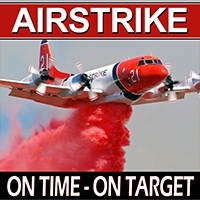 In 2002 the FS had 44 large air tankers on exclusive use contracts. In 2017 they had 20, consisting of 16 Next Generation air tankers and 4 Legacy P2V’s. With the 50+ year old P2V’s now retired, the agency expects to have “up to 20” Next Gen air tankers in FY 2018. The budget proposal includes funding for only one of the seven HC-130H aircraft obtained from the Coast Guard in December, 2013 that are supposedly being converted into air tankers. The one that has been used for a couple of years is still not completely transformed, and is using a borrowed pressurized Modular Airborne FireFighting System for dispensing retardant rather than employing a conventional permanent (but removable) internal gravity-powered tank. Beginning in 2018, the Forest Service will transition to a full cost recovery business model for aviation utilized by cooperating agencies. We asked a few Washington Office folks what that meant, and they either didn’t know or failed to respond to our inquiry. One person told us that unclear writing in the document could be the result of a changing of the guards and the reviewers not fully being in place at the Departments and the Office of Management and Budget. The agency has always charged cooperating agencies for the use of FS aircraft, but it sounds like the price will increase. They may tack on in addition to the hourly rate, additional charges such as working capital fund fees that go toward purchasing replacement aircraft at the end of its life cycle. The JFSP would focus on completing existing projects and standing down science exchange with managers. New research in the Smoke Management and in the Fuels Treatment lines-of-work would be eliminated, as would new research in the Emerging Management Needs initiative. General fire research in the agency would be conducted through the National Fire Plan and the Forest and Rangeland Research appropriations. The Department of the Interior intends to cut their JFSP contribution in half, down to $3,000. The web site for the JFSP describes their work as “funding scientific research on wildland fires and distributing results to help policymakers, fire managers and practitioners make sound decisions”. The total budget for all research in the FS would be cut by 16 percent, from $329 million to $276 million. The 2018 budget request for DOI’s discretionary Department-wide Wildland Fire Management program is $873.5 million. This is a decrease of $118.3 million, or 12 percent, from FY 2017. It would mean a reduction in Full Time Equivalent employees (FTE) from 3,586 to 3,401, or 5 percent. The number of “fire personnel” would be cut by 140 personnel (jobs) from 4,221 to 4,081, or 3 percent. Smokejumpers would be reduced from 145 to 140, or 3 percent, and engines from 610 to 605, or 1 percent. The numbers of all DOI firefighting aircraft would remain the same, except single engine air tankers would be cut from 34 to 32, or 6 percent. The President’s proposal for Department of the Interior Fire Preparedness funding for FY 2018. Source: DOI. As stated above, the DOI’s contribution to the Joint Fire Science Program would be cut in half, to $3 million, while the FS will eliminate their share of funding the program. Lawmakers in California have introduced bills aimed at the growing proliferation of drones over wildfires. There were reports that five unmanned aerial vehicles temporarily shut down aviation operations on the North Fire in southern California, and it has previously been a problem at several other fires in the last year. …One state bill, SB167, would increase fines and make jail time possible for drone use that interferes with firefighting efforts. And on Monday, Republican state Sen. Ted Gaines of El Dorado and Democratic Assemblyman Mike Gatto of Glendale also announced SB168, which would grant immunity to emergency responders who damage drones during firefighting or rescue operations. An organization in Colorado Springs is hoping the city will host the state’s new Center of Excellence for Advanced Technology Aerial Firefighting. The Center was authorized in legislation signed by Governor John Hickenlooper last May which also provided funds for firefighting helicopters and air tankers. The state began contracting for helicopters last summer, and purchased two Pilatus PC-12 fixed wing aircraft to be used for the early detection and persistent surveillance of wildfires. Lawmakers also appropriated $700,000 to establish and operate the Center in its first year, which is expected to be 2015. Serve as a laboratory to evaluate the “three fundamental contributing factors to successful aerial firefighting: effectiveness, efficiency, and sustainability”. Conduct research to evaluate new technology in a variety of settings, such as initial attack, night operations, and operations in wildland-urban interface areas. 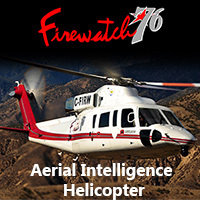 Produce data and documentation on science and technology relevant to aerial firefighting. One of the members of the Colorado Springs Regional Business Alliance trying to land the Center in their city is Tony Kern, former national aviation director for the U.S. Forest Service. …The center, to be opened before the end of this year, will bring at least eight jobs. But more importantly, it could spark interest from companies working to develop technology for innovative wildland firefighting, Kern says, and prompt them to set up offices here. In addition, Kern points out, the region offers a central location on the heavily populated Front Range; proximity to military assets that could become part of the research effort, including Fort Carson’s helicopter unit and the 302nd Airlift Wing at Peterson Air Force Base; and an airport with low rates of weather-related closure and few traffic delays for take-off, due largely to its low number of commercial flights. Ryan May Hardy wrote an article for the Colorado Springs Gazette on February 12 with more details about the competition for the site of the Center. 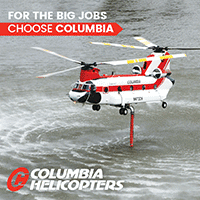 On May 12 Colorado Governor John Hickenlooper will sign the legislation recently passed by the House and the Senate that authorizes the Colorado Firefighting Air Corps (CFAC) to acquire a fleet of helicopters and air tankers to fight wildfires. The Governor will host a press conference at 11 a.m. at the Centennial Airport where he will sign the bill and give his annual wildfire briefing. Colorado Senate Bill 14-164 appropriates $19.67 million and specifies that the CFAC purchase, lease, or contract for the use and operation of up to three helicopters in 2014. 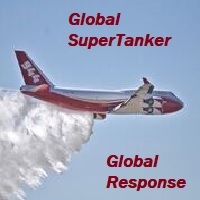 Beginning in 2015 and beyond the bill authorizes up to four air tankers. The first version of the bill required certain specifications for the aircraft, including that the helicopters be able to carry 18 passengers and be capable of rappelling firefighters. The air tankers would have been outfitted for dropping retardant at night, something that has never been done on a regular basis. The bill that passed both the House and the Senate provides maximum numbers of aircraft, but leaves everything else up to the CFAC. The bill requires that the agency adhere as nearly as possible to the recommendations spelled out in a report they released on March 28, titled “Special report: Colorado Firefighting Air Corps, report to the Governor and General Assembly on Strategies to enhance the state’s aerial firefighting capabilities”. The press conference will be held at the Centennial Airport, Denver jetCenter, Hangar A, 7625 South Peoria Circle, Englewood, Colorado 80112. 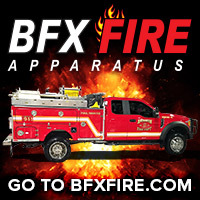 If any FireAviation readers attend the event do us a favor and send us some photos.